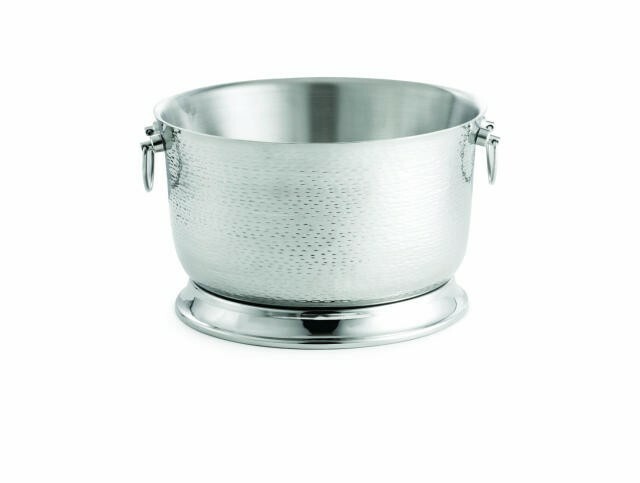 LionsDeal > Catering & Buffet Supplies > Ice Displays and Beverage Housings >< Beverage Tubs > TableCraft BTB1610 Stainless Steel Round Beverage Tub with Base 16" Dia. x 10"
TableCraft BTB1610 Stainless Steel Round Beverage Tub with Base 16" Dia. x 10"
Round Beverage Tub W/Base, S/S, 16 X 10" . Taking stainless steel to a new level, Tablecraft's Remington Collection brings heightened allure and versatility to stainless buffetware. Handwash recommended.